Energy costs soar inside a drafty home. Heating bills spike when air leaks invite chilly outdoor air into a house that’s set to warm up. The root cause of enormous heating costs in the average home is the presence of hidden air leaks. 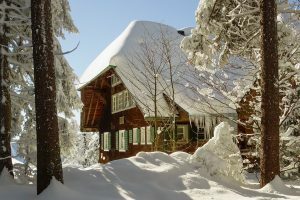 Energy experts estimate that most homes in the US are riddled with enough air leaks that compare to leaving a medium sized window open 24 hours a day in the middle of the cold season. Air leaks, though unseen, pose as a clear drain on home heating expenses. While drafts are imperceptible to the uninformed, homeowners have ample opportunity before winter to locate and put an end to silent, energy-consuming air leaks. Identify common, pesky air leak spots. Discovering air leaks takes a little knowledge. Obvious places a homeowner may look for air leaks include under doors and around windows and door frames. Drafts usually occur in areas around the home where two differing materials join, like a dryer vent or mail chute. Check where gas pipes enter the home and around an outdoor faucet. Duct registers, fireplace dampers, crawl spaces, the attic, wiring holes, recessed lights, open soffits and plumbing vents are all common areas where air leaks prevail. Upon inspecting the home’s most common zones for drafts, look for gaps and cracks within the home. Spots where a brick chimney adjoins with wood siding may be filled with adherents that have cracked or separated, giving way to drafts. Most importantly is to examine the attic and basement. The topmost and bottommost parts of the house are where the largest gaps may be found. Once the gaps have been located, the next step is to confirm the presence of air leaks. Large gaps are noticeable using the flashlight method. Pair up with an individual who will aim the flashlight at the suspected crack from indoors during nightfall. If the light shone is visible outside, then a major source for an air leak is confirmed. A dollar bill is all that is necessary to warn of the presence of air leaks in a window or door. Close the window or door on a single George Washington. Yank out the legal tender. If the dollar bill is easily pulled out, an air leak is present. The movement of a sheet of paper is a solid indicator of a draft. Hold a piece of paper along suspected drafty areas, like around the dryer vent. Air passing through will cause the paper to gently flap. If the paper quivers, you’ve got an air leak on your hands. Incense not only wafts pleasant scents throughout the home, it can also help detect air leaks. Close all the doors and windows. Shut off the furnace. Light an incense stick and carry it toward the areas suspected of drafts. When the wispy trail of the incense smoke draws out, the blowing smoke identifies the presence of air leaks. The final stage of handling air leaks is to plug them. Numerous methods are useful for the many types of gaps inside a home. Caulk and foam, weather stripping and covering open spaces are a few of many ideal fixes. Recessed lights should be insulated with an airtight baffle. Unless the light is labeled ICAT (insulation contact and air tight), the recessed lights should be removed, cushioned with the baffle and the bulb screwed back in. Aluminum flashing should be used to cover gaps between brick chimneys or metal flues and wooden siding. The customized, cut flashing should be set with silicone caulk. Drafty doors can be addressed with fitted door sweeps. Apply new weather stripping along the home’s doors and windows. Experts recommend bronze weather stripping, as it endures for 100 years. The downside to bronze weather stripping is its difficult installation. Self-adhering weather stripping, while easy to install, fails to last. While you weather strip the doors and windows, also weather strip the attic hatch. Pre-insulated hatch cover kits for attic stairs and doors are available to simplify the task. Polyurethane foam is ideal for plugging medium sized gaps of a quarter inch to three inches in width. Openings of this size are commonly found around vents and plumbing pipes. Smaller gaps of less than a quarter inch may be dutifully sealed with silicone or the easily cleaned up acrylic latex caulk. In basements that house the water heater and furnace, high-temperature caulk can be squeezed around the vent pipes that tend to increase in temperature. Foam is appropriate for bigger holes that pass from the basement to the exterior of the home, such as gaps for wires, ducts and pipes. The effort to seal all the air leaks and prevent cold outside air from seeping into the home’s interior saves homeowners anywhere from 10 to 30 percent on home heating costs. When the indoors are toasty without breaking the bank, you also want to ensure the home’s occupants are breathing clean air. 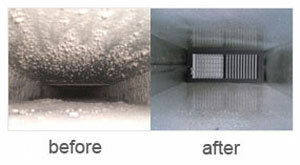 Duct cleaning is instrumental in helping to circulate clean air throughout the home. ServiceMaster DAK is a professional duct cleaning company with the experience and technology to correctly perform duct cleaning services. 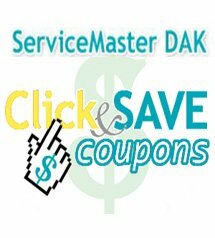 Trained technicians from ServiceMaster DAK arrive at your home and begin the process of dislodging and removing contaminants from the HVAC system. Our specialists utilize vacuums or high-efficiency particulate air (HEPA) vacuums to jettison particles outside the home. Registers and vents are carefully removed, cleaned and put back into place. All duct work is protected during the duct cleaning. Families with pets and those with respiratory conditions are advised to clean their ducts regularly. Homes that undergo remodeling are heavily polluted with construction dust, necessitating a duct cleaning for improved indoor air quality. Smokers should also seek out frequent duct cleanings. ServiceMaster DAK reliably serves the northern Illinois suburbs, including Lake Forest, Glenview, Buffalo Grove and Northbrook. We are available 24 hours a day to answer questions and dispatch a duct cleaning crew to your door.